Mata Amritanandamayi, commonly known as Amma, is a mysterious and supremely powerful river of unconditional love. Having never taken even a single breath for herself, she has come to this world only to give. The rest of us, as seekers, as children of light, have a very rare opportunity in being able to have access to such a Divine phenomenon. If we are suffering she gives comfort. If we are intent on the Divine, she gives instruction and direct experience. She is always giving with a tremendous outpouring of love and compassion that is a wonder to behold. Amma asks nothing in return. We can keep our religion or current path if we like. We are not asked to sign up for anything. Amma will help is with whatever spiritual endeavor we may have undertaken – no strings attached. Amma says her religion is love. Amma’s “largeness” is beyond understanding but what we can see is profoundly astonishing. It is the purpose of this book to give a brief view of Amma’s life, accomplishments and her uplifting impact on people just like us. We will have to look far and wide in the scrolls of human history to find a Divine manifestation that has done as much for humanity, is as powerful as Amma and, at the same time, so supremely accessible to anyone and everyone. In the past 40 years Amma has tirelessly hugged over 34 million people. Why would anyone do this and do it for free? This alone speaks to the fact that Amma is a Divine person extraordinarily endowed with the ocean of Divine Shakti (power) and limitless love. Her charities for the poor and the suffering are vast. It boggle’s the mind to consider that all this was done by a short, cute Indian lady, born into a very poor family who never made it past the fourth grade. 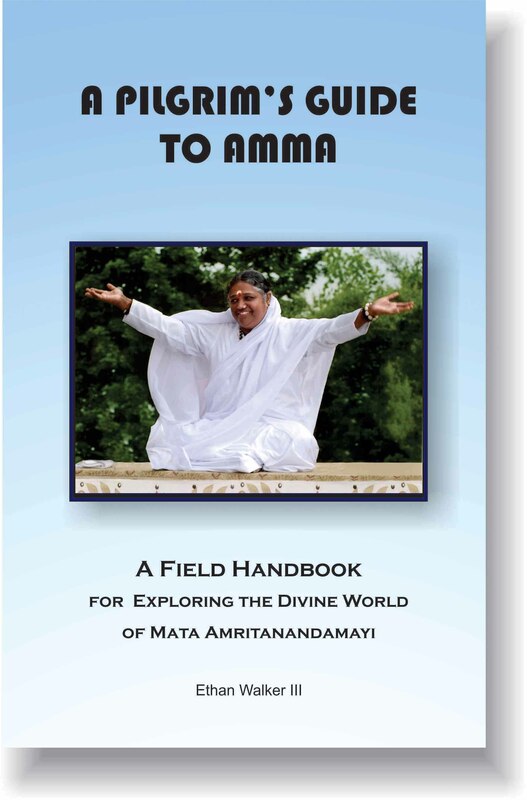 Dear reader, you are invited to step into this book and see what Amma has to offer you.